Many in the nation's capital and beyond are anticipating a rather intense week, with former FBI Director James Comey set to publicly testify before the Senate Intelligence Committee on Thursday, reports Politico. Since Comey's firing on May 9 at the hands of President Trump, there has been a great deal of reporting and speculation about specific circumstances that played into the sudden termination. 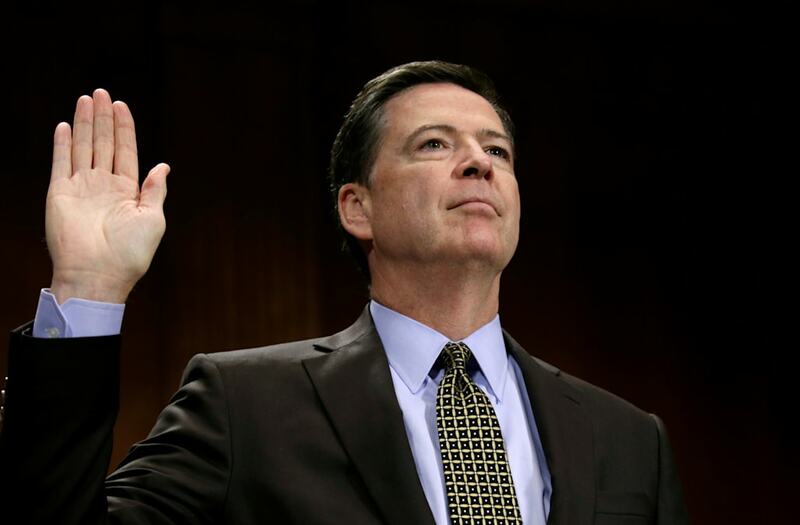 A likely question to be raised is whether Comey believes his forced exit was an attempt to curtail the investigation into Russia's influence in the 2016 election and the Trump campaign's possible involvement in the efforts. It is also anticipated that Comey will be asked to confirm or deny reports that Trump asked him for loyalty and requested that the inquiry into former National Security Adviser Michael Flynn be abandoned, notes CNN. Overall, clarity on the extent of Trump's actions and whether they constitute an obstruction of justice is a possible outcome of Thursday's testimony. However, though many questions will be posed and answered, it remains unknown how definitive Comey's responses will be. Former federal prosecutor Michael Zeldin, who spoke with CNN on Sunday, noted, "If [Comey] doesn't say anything categorical, if he says, 'Well you know, I felt this way, it could have been otherwise'...if it is less than fully clear, then I think it gives both sides a lot of ammunition to argue through the rest of the summer and probably into the fall about what does all this mean." Nonetheless, Politico reports that many have indicated the upcoming testimony, "is attracting 'Monica Lewinsky-esque' levels of interest from the media wanting to cover his appearance."